American President Donald Trump finally meets with Russian President Vladimir Putin this week. The much-anticipated meetup at the G20 in Hamburg already dominates headlines, as thousands of potentially violent protesters are already gathering there. But amid all the foreplay it’s a Washington Post report that frames the real geo-political situation in our world. Here’s an interesting view gleaned from deciphering “fake news”. 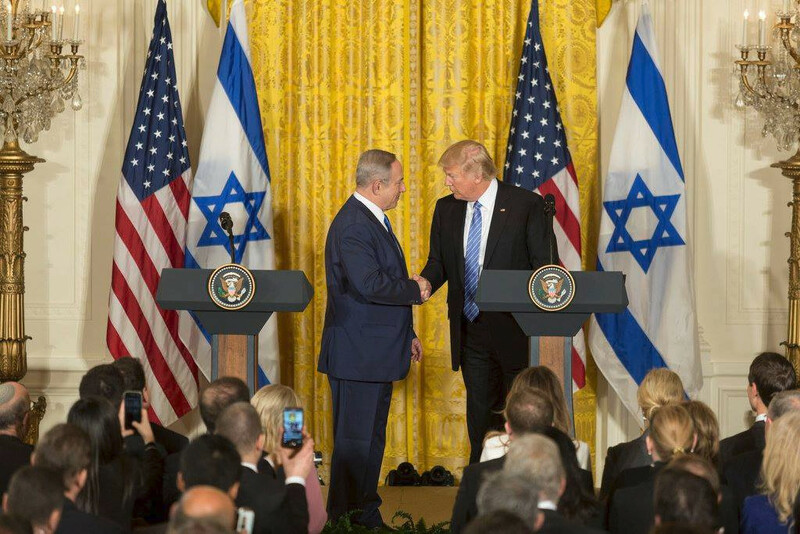 President Donald Trump and Israeli Prime Minister Benjamin Netanyahu – Where is the pressure from? This is the question. The piece winds its way through the political morass that has become Washington relationships abroad, focusing on the Trump-Putin relationship to be. Then the authors set the stage for the readership to be prepared for parroting the post-meeting Bezos message. A president who wants the best for his people, what insolence is this? 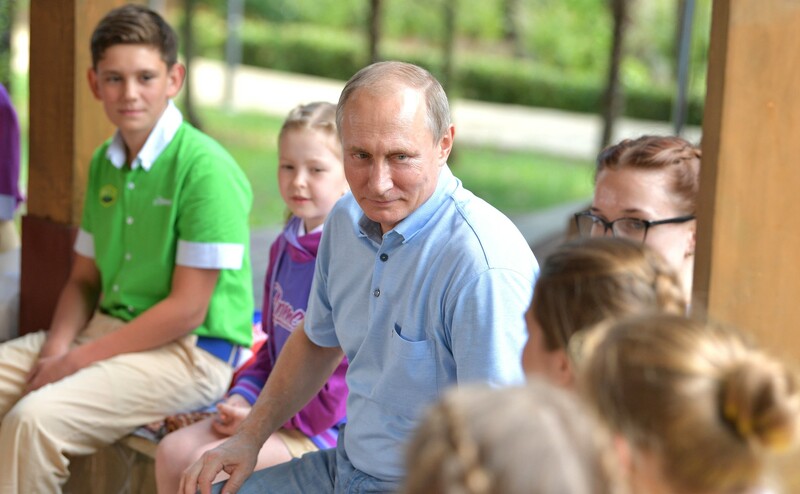 Putin with kids of the Artek International Children’s Centre June 24. As if any nation’s leader should not be intent on “primacy” for his people, and as if America has not policed the world these last 70 years to seek dominance. Putin the “Russian”, dares to consider Russia’s position in our world. The Washington Post is only good for finding out what Bezos and his billionaire colleagues want. So, I say. Oh, and Abby Phillip is a CNN political analyst too, which makes me wonder if her writings for Bezos are just for ratings? As for Carol Morello, it turns out she was the reporter Russian Foreign Minister Sergey Lavrov had to call down for her ill manners when he and Secretary of State Rex Tillerson met in Moscow. The Washington Post, it’s the litmus test for knowing what is wrong in the world, anything Jeff Bezos’ team is for. And make no mistake, the mainstream in America is on an agenda. What a team of losers the globalists and technocrat puppets have bought, that’s what I say. Let’s pray Trump and Putin sort through the subterfuge and get down to it. Stay tuned for my upcoming book, which proves once and for all how pitiful and weak the western oligarchs truly are.